Obituary for Billy Ray Wilson | Rainge Memorial Chapel Inc.
Mr. Billy Ray Wilson, Sr., age 59 departed this life on January 2, 2019 at Satilla Hospice from an extended illness. He was born on February 18, 1959, in Pearson, GA to Earnest Wilson Sr. & Luerine Hawkins Wilson. He attended public schooling. He was employed in the United States Army for several years. He was also an employee of Jordan Flooring Covering along with many years working as a mechanic on the side. Billy was a devoted son, father, brother & uncle. 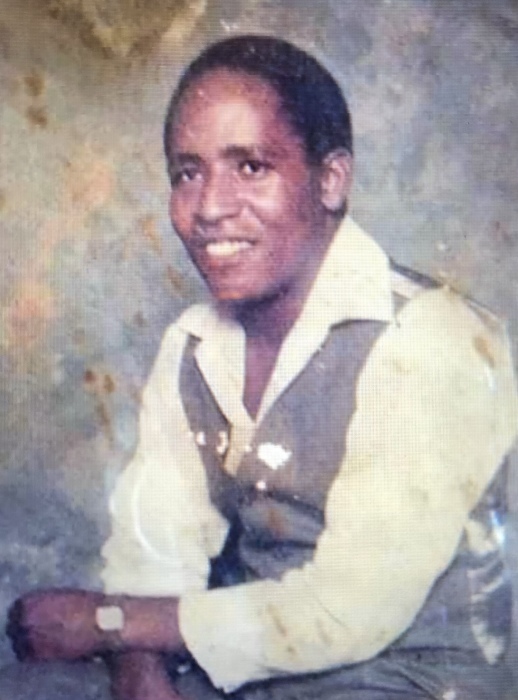 He was preceded in death by his father, Earnest Wilson, Sr.; paternal grandparents – Lee & Emma Wilson; maternal grandparents – Alphonzo & Charlie Hawkins; brother – Charles Smith & sisters – Charlee Wilson & Patricia Wilson. He leaves to cherish his precious memories, a devoted & longtime friend, Kathy Smith. Three sons - Reginald Oliver, Sr., Billy Ray Wilson, Jr. (Kirsten) & Kenyatta Gordon, Sr.; five grandsons – Domonick White, Jeremiah White, Reginald Oliver, Jr., Kenyatta Gordon, Jr., & Jaelin Wilson. Two granddaughters – Brandy Oliver & Akira Wilson; his mother Luerine Hawkins Wilson, Douglas; five brothers – Jerry Hawkins; Ronald Smith of Douglas, GA; Quincy Smith & John Wilson of Waycross, GA; Earnest Wilson, Jr. FL. ; six sisters – Glory Gaines & Sheila Wilson of Douglas, GA; Emma Bennett of Alabama; Ethel Smith (Andre) of Waycross, GA, Alicia Wilson of Warner Robbins, GA & Claretha Wilson of Quitman, GA. Two aunts - Minnie Smith & Frances Hawkins. Two dear and loving cousins - Frank Smith & Andrew McCarthy. A special friend of the family Patricia Wilson. A host of nieces, nephews, cousins, & sorrowing friends. The family is receiving friends at 629 South GA Parkway, Waycross. Celebration of Life will be held Saturday, January 12th at 11:00 a.m. at Congregational First-Born Church, Waycross; Elder Otis Moody, Sr., pastor will deliver words of comfort. Burial will follow at Lax Cemetery, Lax, GA. The cortege will assemble at 10:25 a.m. at 629 South GA Parkway, Waycross.